The Vampire Facelift® is a particular way of using injectable blood derived growth factors (PRP), HA fillers, and follow-up procedures to restore facial beauty and revive youth. Only providers listed under the Vampire Facelift® trademark are certified to do this procedure in the intended way. The Vampire Facelift® makes you look younger while keeping you natural in appearance. PRP (Platelet Rich Plasma) is a component of your own blood. After a blood draw, our FDA approved centrifuge is used to spin your blood isolating the platelets. The platelets are activated releasing growth factors. We then extract the plasma rich platelets- the kind that the body would use naturally if it had to heal damaged tissue. The growth factors work almost like magic forming tissue with increased collagen, new blood vessels for a healthy glow and plumpness, as well as new fatty tissue for smoothness and overall rejuvenation. The Vampire Facial® is a combination of micro-needling with topical PRP (added pre & post needling) and does NOT include an injectible HA filler. 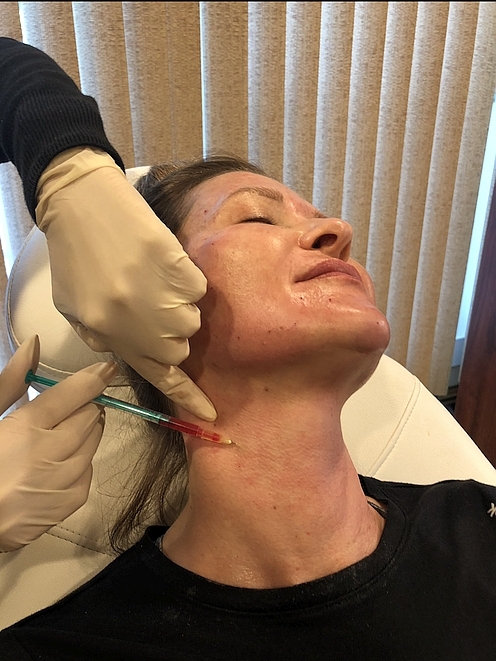 When applied this way, both the microneedling and the PRP will stimulate new collagen and blood flow to create a smoother, healthier texture and color. For those who already enjoy a beautiful shape but who want an improvement in color and texture, the Vampire Facial® is a great option. This is an excellent choice for our younger clients. How does the Vampire method work? The fillers act as a scaffolding for the PRP while also creating beautiful shape and volume. The PRP then fertilizes the stem cells to get them to grow new tissue, greatly improving your skins texture, tone and color. What is the Vampire Facelift indicated for? Unlike most procedures, the Vampire Facelift® offers a way of restoring shape, and improving tone and texture, as well as literally rejuvenating new and younger tissue! (1) Skin color becomes grayer because of less blood flow. (2) Facial Shape becomes collapsed and droopy as muscle and collagen decrease. (3) Skin texture becomes less smooth. As a result, the person looks “worn”, or “tired” or “droopy.” The lively, rosy hue (seen plainly in playing children of every skin color and in young adults) fades to a dull gray. Is the Face the Only Area that can be Treated? No, in addition to the face, the neck and décolleté are common areas treated. Also, any area of the body can be treated that has scars. (1) First, we use HA fillers to create a beautiful shape. (2) Then, we isolate growth factors from the patient’s blood. (3) When these growth factors enter the face (injected by the physician or nurse practitioner), then multi-potent stem cells become activated to grow new tissue. This new tissue includes new collagen, new fatty tissue (for smoothness), and new blood vessels (for a healthy glow). (4) Microneedling can be added providing an extra stimulation of collagen production. How Long Does It Take? It takes 1 ½ to 2 ½ hours depending on the severity and area(s) being treated. Is the Vampire Facelift painful? 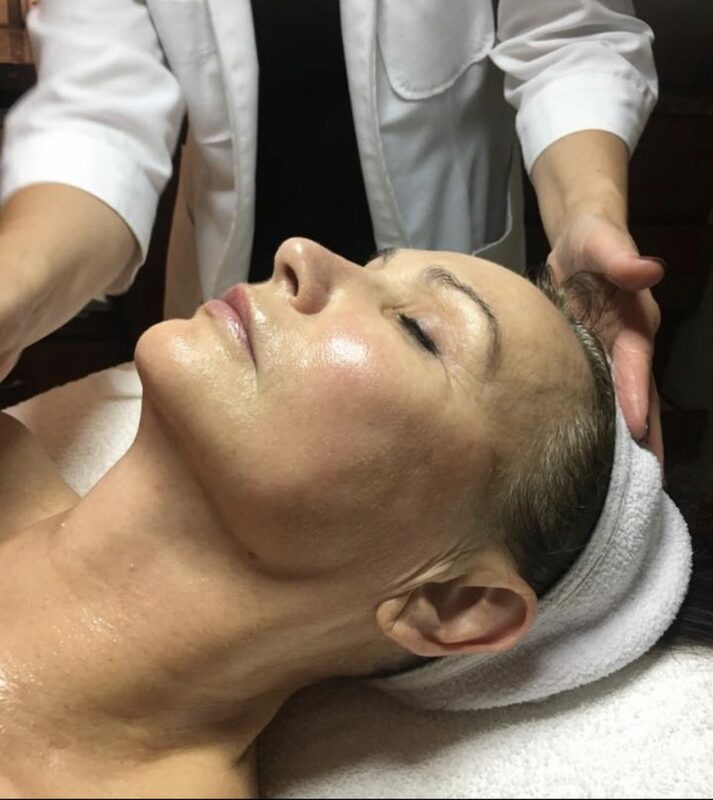 An anesthetic numbing cream is applied to the skin for about 30 minutes prior to the treatment and we find with this approach clients are very comfortable with the procedure. After the procedure you may experience some swelling, redness and may have mild bruising; healing time for each client varies from 24-72 hours. 1-3 treatments are recommended. Within 2-3 weeks, the tissue starts to look full and natural; and by 3 months the full effect takes place with a dramatically improved appearance. How Long Do the Effects of the Vampire Facelift® Last? The effects of the Vampire Facelift® lasts for approximately 1- 1 ½ years! In theory, you grow new, younger tissue that then starts to age from that new set point. It has more to do with aging than with any particular injection fading.